Shed some light on the drink situation for your guests when you give them Football Lights Drink Tickets at your next game. 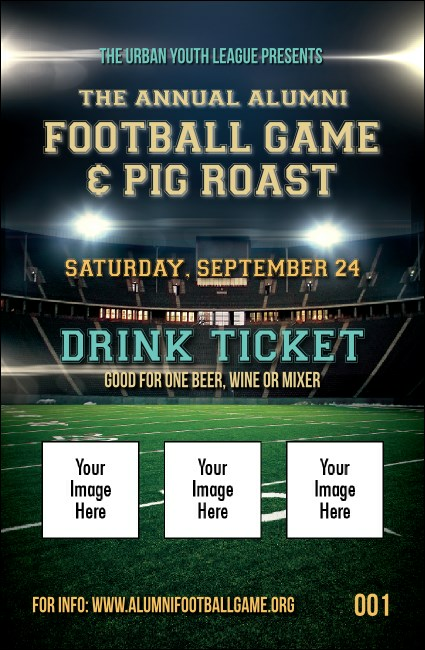 These sporty tickets feature an illuminated stadium as the background image and room to upload three of your own unique images along with secure numbering for easy event organization. Illuminate your event at TicketPrinting.com.